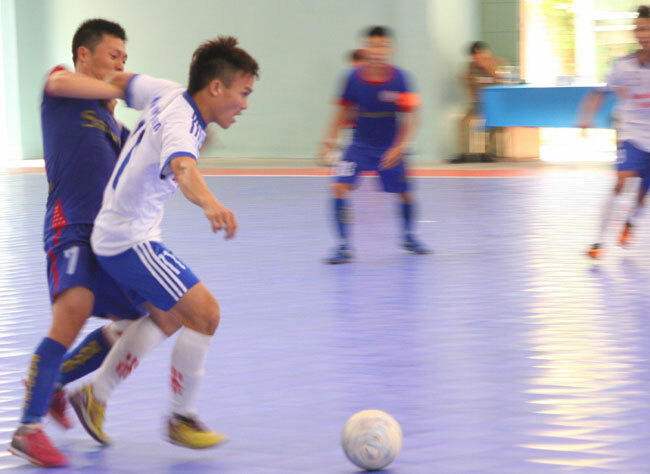 HCM CITY (VNS) — Khanh Hoa delivered a crushing 4-0 victory over Binh Thuan in their final group A match yesterday, booking a spot in the semi-finals of the National Futsal Championships in HCM City. The Khanh Hoa side immediately exerted their dominance over Binh Thuan, clocking an early lead just minutes into the match. Nghia E Ban opened the scoreboard after just three minutes with an early conversion from the far right, striking the low shot into the corner of the post. Experience and superior teamwork delivered more opportunities for Khanh Hoa in the first half, with captain Ta Duc Dung converting another opportunity from the right wing at the ten minute mark to double the side's early lead. Dung completed his run with a precision lob over goalkeeper Nguyen Quoc Trung, who had already made a number of brave saves. Just four minutes later, coach Tran Thai Hoa's players extended the lead to three goals after Nguyen Quoc Bao stunned Binh Thuan players and goalie Trung with a powerful long-range shot from the halfway line. A spectacular save attempt from Trung saw him nudge the ball but not enough to push it out of range. 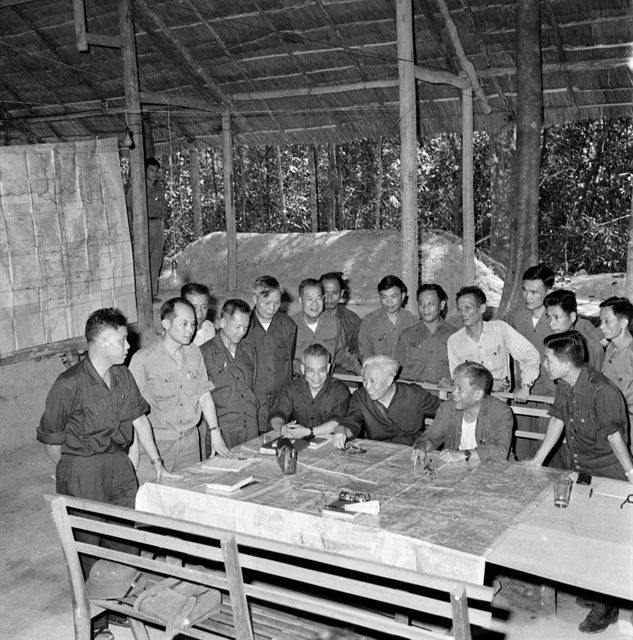 Binh Thuan's offence were barely able to carry out any attacks on Khanh Hoa keeper Vu Van Kha. Their fortunes remained unchanged in the second half with Khanh Hoa dominating play and extending their lead to 4-0 after Phan Dang Bao raced down the left side before delivering a snap pass to Tran Ba Tien for an easy conversion. Despite creating additional chances to widen the gap even further, the scoreboard remained at 4–0 at the final whistle.